WASHINGTON - Canada is far from isolated on the world stage in its resistance to commit more money to the International Monetary Fund's efforts to combat a European debt crisis, Finance Minister Jim Flaherty said Friday. The United States and several other countries have also ruled out doling out more cash to the IMF, which succeeded earlier in the day of securing an additional US$430 billion to its euro-zone bailout fund. "I can assure you there is not a uniformity of opinion on this subject," Flaherty told a news conference after a tense day of meetings with G20 finance ministers that reportedly saw him clash with his German colleague, Wolfgang Schaeuble. Instead, Flaherty said, the debate is an "ongoing issue." He added his friendship with Schaeuble would survive the disagreement. "It doesn't mean when you're good friends that you agree all the time; if that were true none of us would be married," he said to laughter from assembled reporters. But he added the IMF has traditionally helped the countries in the most "desperate" financial straits. "Quite frankly, that's not the situation in the euro-zone. Some of the wealthiest countries in the world, including Germany, are in the euro-zone. So it's a rather different situation," he said. "They need to step up to the plate and overwhelm this issue with their own resources." The effort to boost IMF resources was the top item of discussion as the finance ministers met in the U.S. capital. Christine Lagarde, head of the IMF, said Friday she'd secured commitments of about $430 billion although some countries, including China and Russia, weren't saying how much they were prepared to give. Flaherty insisted that every country borrowing from the fund should be treated the same way, suggesting European countries currently have an advantage over emerging economies from other regions of the world, including South America. 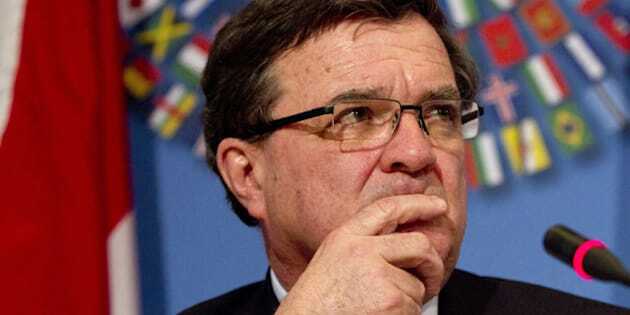 He once again suggested that the "troika" of the IMF, the European Central Bank and the European Commission are stacking the deck in favour of euro-zone countries. Instead, he said, the IMF should be directing struggling countries and telling them what to do, not working with them, just has it as with nations like Mexico and Argentina in the past. "There's some discomfort with that, quite frankly. There ought not to be particularly different treatment for anybody," Flaherty said. "It's very easy for the Europeans to get what they want." He added that IMF funding initiatives should be subjected to a more stringent approval process by the organization's top officials. That could be simply achieved, he said, by creating a super-majority approval process instead of a 50-per-cent-plus-one vote. That would allow for two separate votes for euro-zone and non-euro zone countries. He said it's "not particularly sensible" for the IMF not to have a mechanism in place to ensure non-euro countries get an equal say. "The emerging economies are coming on and the older European countries are flat," he said. "Canada is not alone on this issue."